One of the most essential components of your success in any business is your network. Why not plan some of your travels around key dance music conferences? Learn 7 tips you can begin applying immediately to make the most of your visits to these conferences. 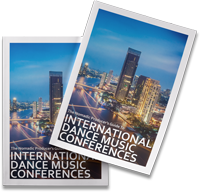 Discover key dance music conferences in North America, South America, Europe, the Middle East, Asia, and Oceania. You never know who you'll meet – A&R reps, label managers, collaborators, other producers and musicians.